The rings shown here include Saturn's main rings. The rings known as the C, B and A rings -- listed here in order of closeness to Saturn -- are easily seen. The F ring is also there, but not easily seen without enhancing the contrast of the image. (Rings were named in order of their discovery rather than their position around Saturn.) 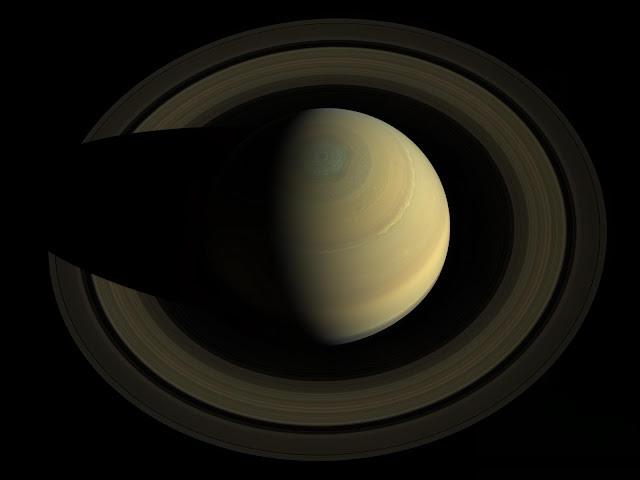 The rings also cast a shadow on Saturn at the limb of the planet in the lower right quadrant.